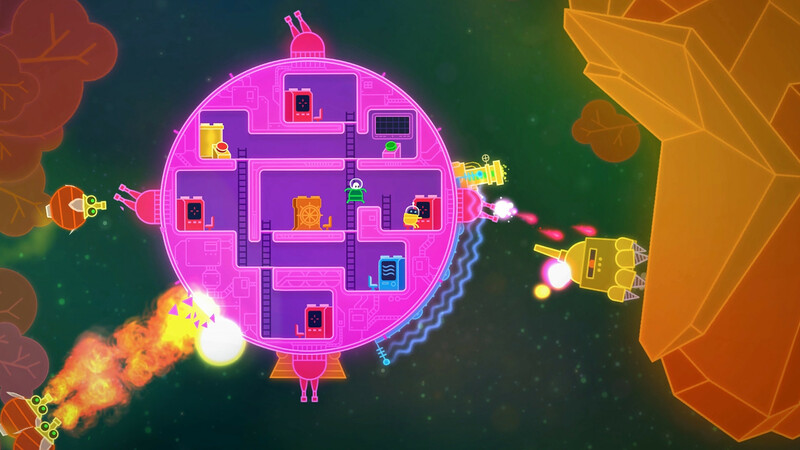 One of 2015's most charming games for two touches down on PlayStation 4 next month. 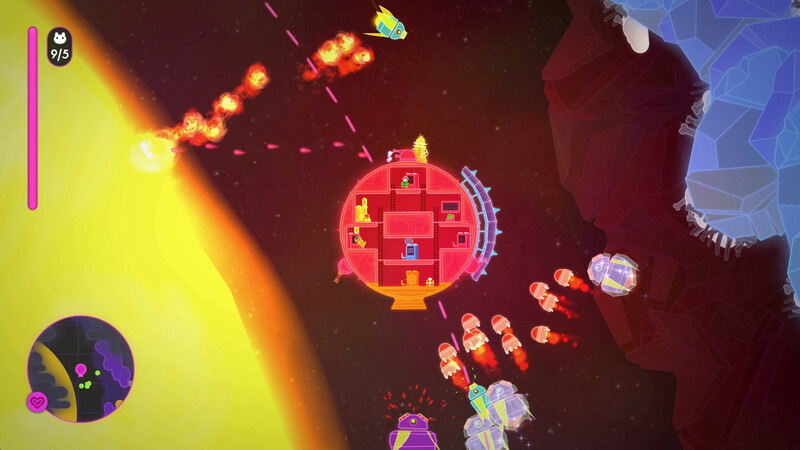 Indie developer Asteroid Base has announced a version of Lovers in a Dangerous Spacetime, their 2015 cooperative space shoot-em-up, will release on PlayStation 4 consoles February 9. 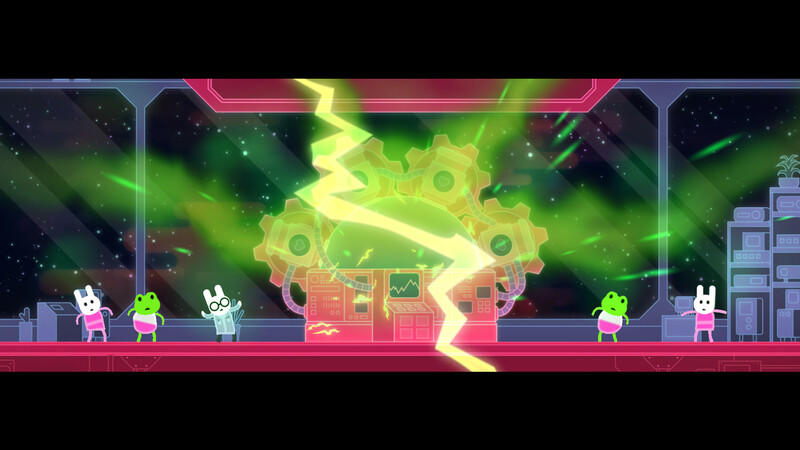 In the game, two players work together as a team to pilot a spaceship through hostile environments and rescue adorable space bunnies. To succeed, they must move back and forth between the six consoles on the ship controlling its engines, shields, and weapons. 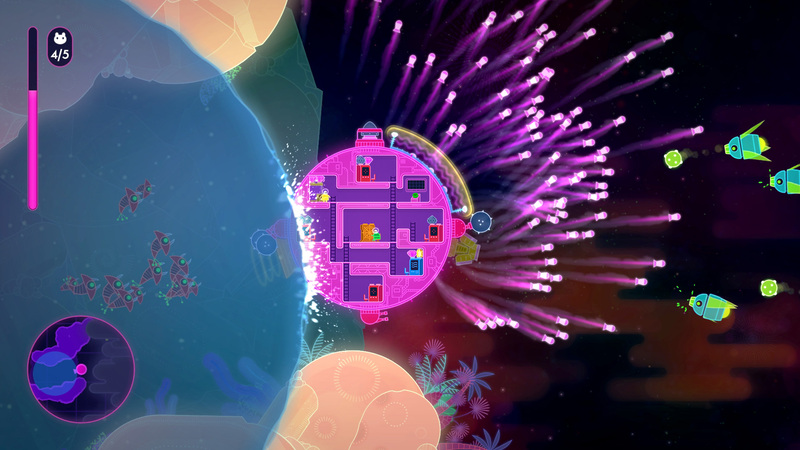 The game also features a single-player mode, in which the partner character can be directed to move where desired. 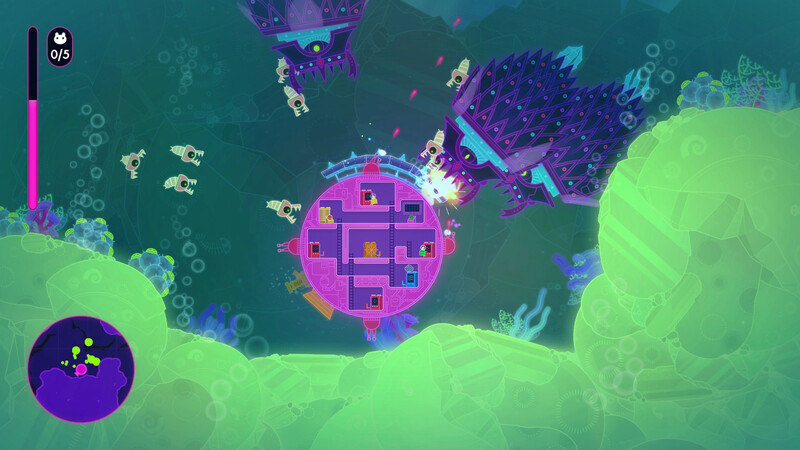 According to the announcement post on PlayStation Blog, the PS4 version will feature additional difficulty modes aimed at making the game accessible to players of any skill level. 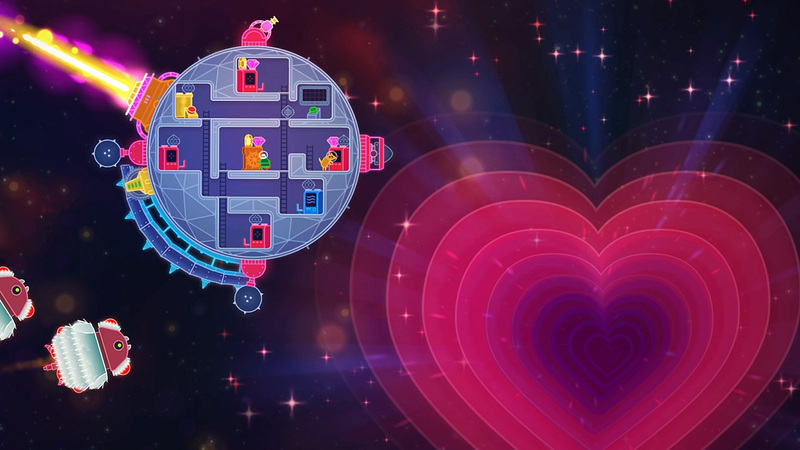 Lovers in a Dangerous Spacetime previously released on PC and Xbox One in September of last year. 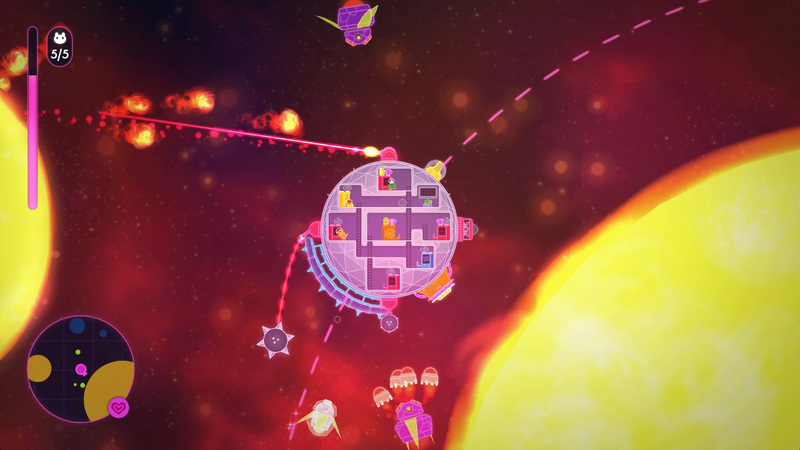 I played the PC release with my wife and found it to be one of the best local cooperative games we've ever played together. The relentless enemies combined with a gradually developing complexity to environmental design made managing the ship a constant challenge, but one for which failure could always be attributed to a lack of communication. 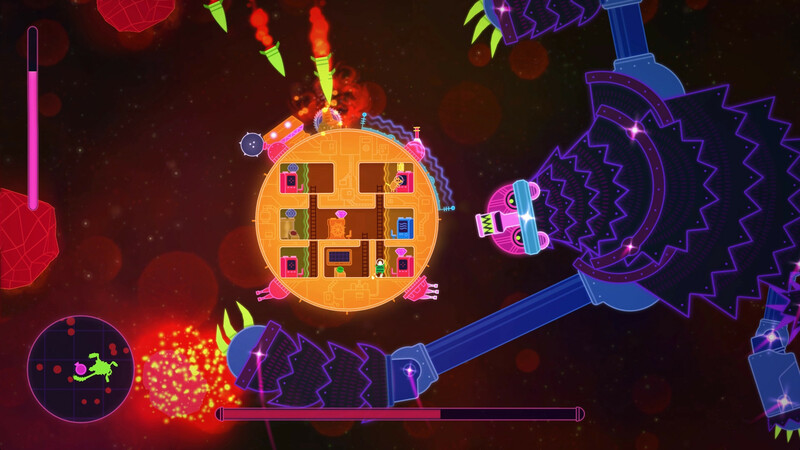 If you're into couch co-op, I highly recommend giving it a look.